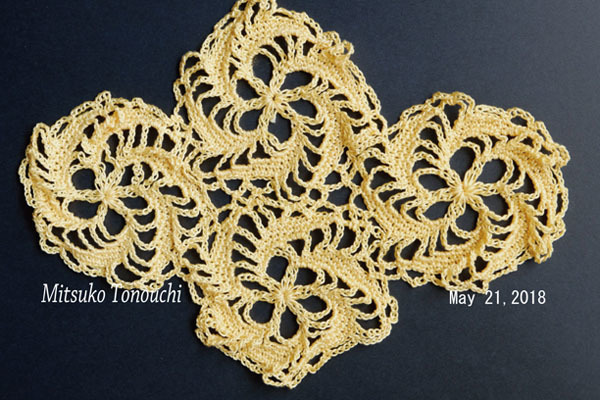 I tried crocheting another motif with the lace yarn. My hand didn't hurt! I might like rather thin yarn. And I would be correct the joint stitches in those motifs then.